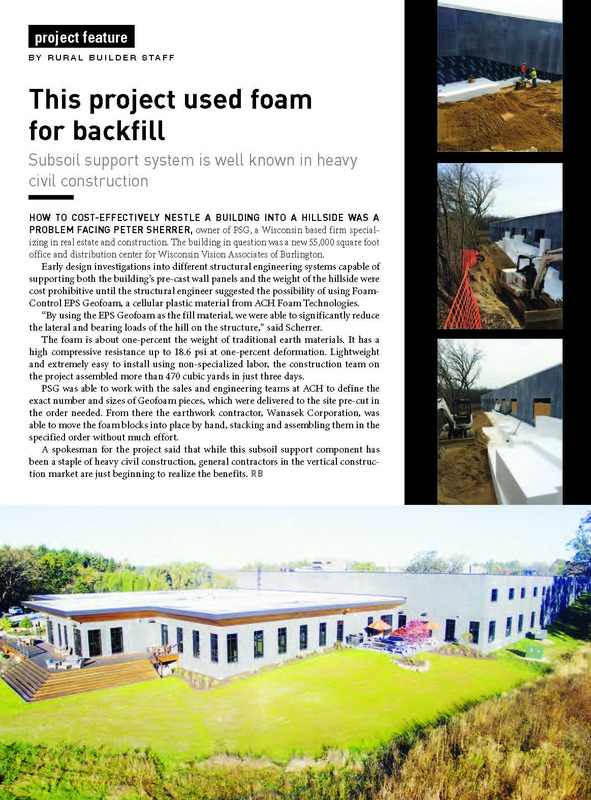 It's exciting to see our WVA, Inc. project featured in SBC Magazine, Rural Builder Magazine, and other publications for the use of ACH Foam Techonologies including EPS Geofoam. PSG's Development Team has been working hard on a new retail building to be located at Hwy 36 and Wegge Road in Burlington. 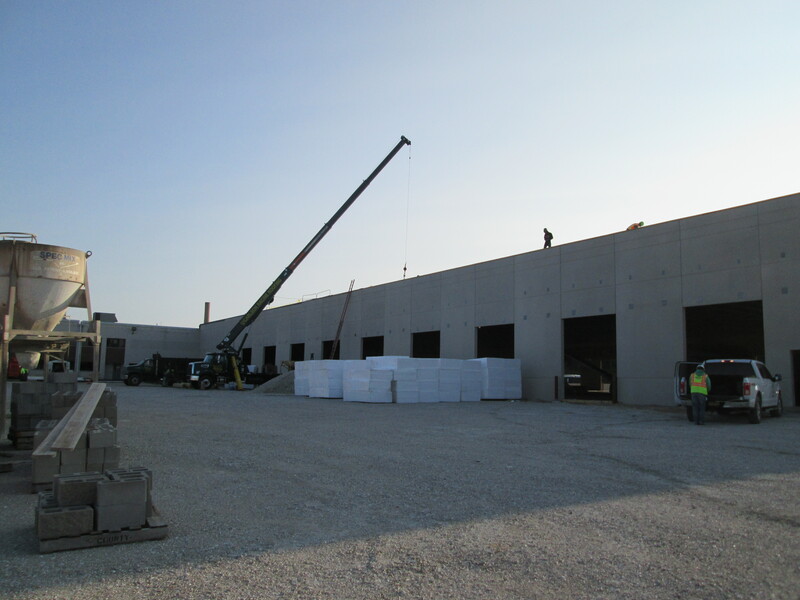 Preleasing is well underway and we expect to breakground in this spring. While much of the of the retail building is preleased, additional space is available. 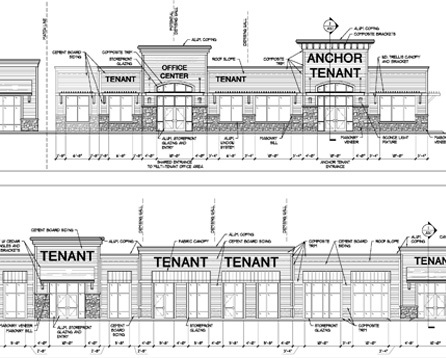 Plans include a second building (single or multi-tenant) adjacent to the first building. 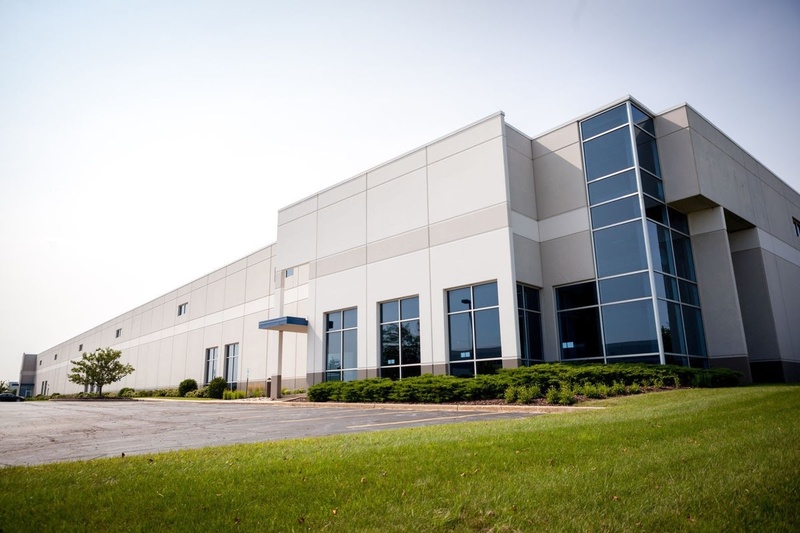 Anyone interested in space at this location can call our office at 262-758-6064. As this project received site plan approval earlier this month, local news sources have taken interest in this exciting new project. 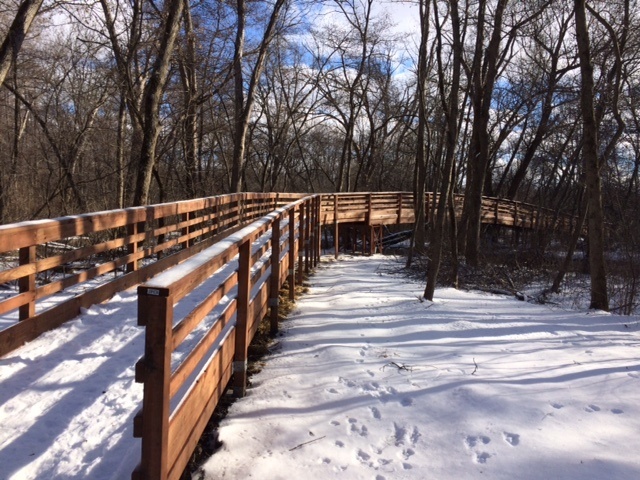 The end of 2015 saw the completion of two beautiful bridges that span the White River in the White River County Park in Walworth County. The funds for the bridges were provided by three Walworth County families through their family foundations. PSG was engaged as their representative to oversee the project and maximize the impact of their generous gift. This included coordinating efforts with Walworth County, the Geneva Lake Conservancy, and the Friends of the White River County Park. 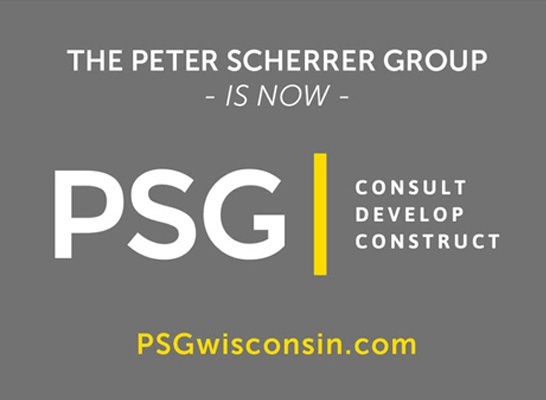 Following initial contact by the donors to Peter Scherrer, PSG conducted a design-bid process, investigated existing similar installations, structured the funding mechanism, processed purchase orders, facilitated DNR approval, and monitored the construction process. 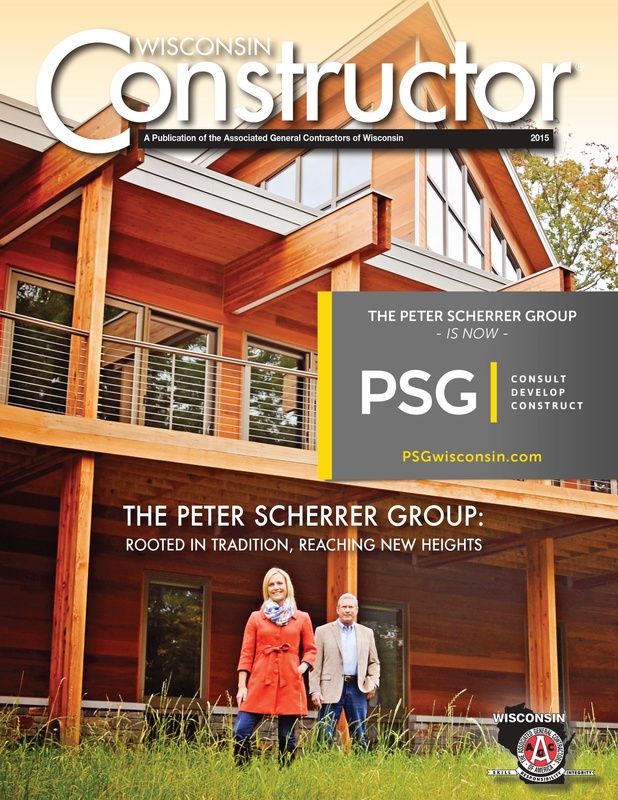 PSG is proud to be included in the 2015 edition of Wisconsin Constructor Magazine. In the feature, “Rooted In Tradition, Reaching New Heights,” we touch on what it means to us to bring an optimal approach to our business. We also had the incredible opportunity to discuss what it has been like to achieve over 50 years of combined industry experience and work together as a father and daughter ownership team. Additionally, some of our most recent and prominent projects are highlighted along with photos and comments from our community and client partners. Representatives from the Burlington High School ACE Academy participated in the International Technology and Engineering Educators Association (ITEEA) Conference at the Wisconsin Center in Milwaukee on March 26th and 27th. 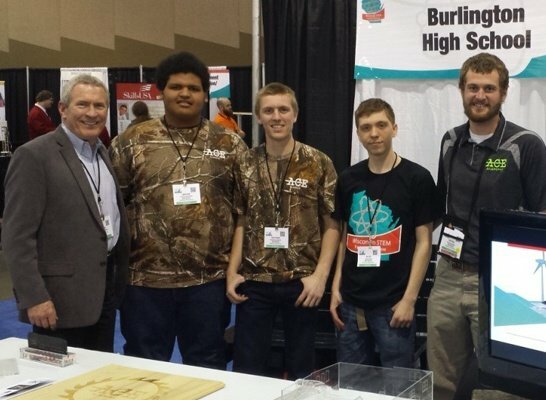 BHS ACE Coordinator, Peter Leedle, was joined by students Jacob Gardner, Nathan Larson and Alex Dunn to exhibit at the conference and communicate the success story of the program at Burlington Area High School. At The Peter Scherrer Group, we are very excited about Walworth County's recent acquisition of 195 acres of land to become White River Park. In addition to the picturesque terrain, rolling hills, river and trails, the property includes a beautiful historic barn. TPSG has been retained by Walworth County to complete a facilities study on the barn. We are thrilled to be involved in this exciting project and a part of making this historic building a place that the public can visit and enjoy. Leslie Scherrer is pleased to join the NAIOP WI Board of Directors. NAIOP WI is the Wisconsin Chapter of North America's premier association of developers and owners of commercial real estate. Leslie has been a member of the organization since 2008, has been active in various committees and is currently the co-chair of the programs and education committee for the Chapter. Recently NAIOP conducted a board member spotlight featuring Leslie. See the spotlight in the link below.